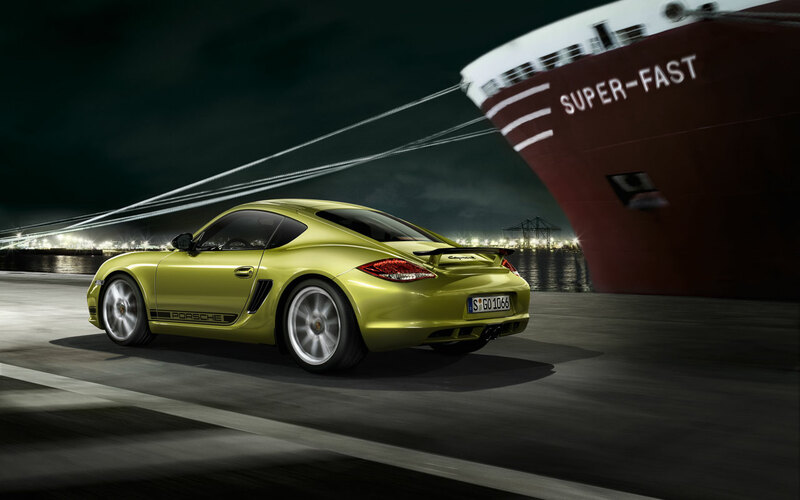 The new mid-engine coupé is powered by a tuned-up 3.4-litre six-cylinder engine developing 330 hp (243 kW). In the standard configuration it transmits its power to the rear wheels via a six-speed manual gearbox that propels the car from 0 to 100 km/h (62 mph) in 5.0 seconds. 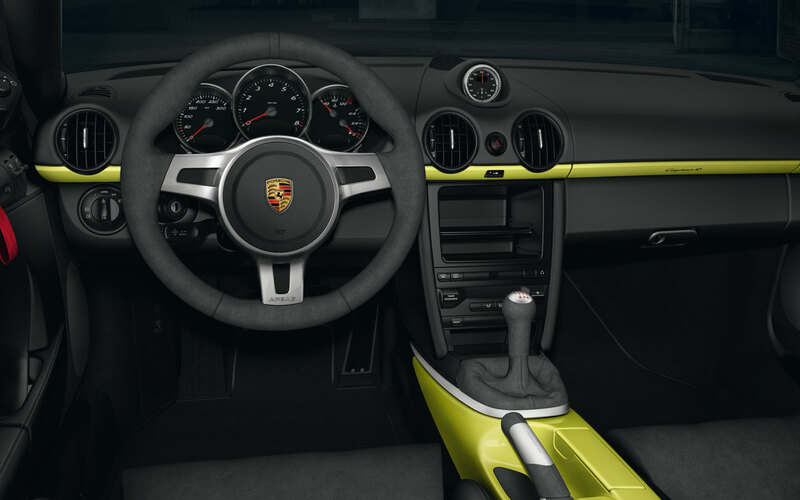 Or there is the option of the seven-speed Porsche Doppelkupplungsgetriebe (PDK) that reduces its acceleration time to 4.9 seconds. 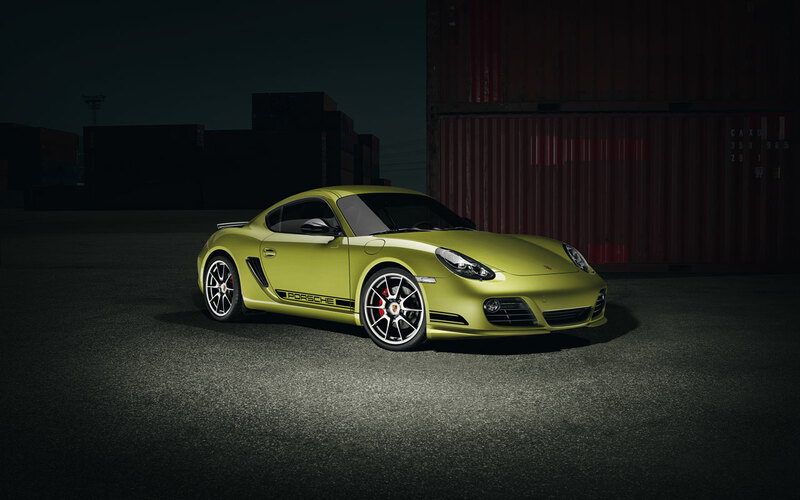 For even more impressive sprinting performance, the Cayman R can be supplied with one of the optional Sport Chrono packages, taking it to 100 km/h (62 mph) in 4.7 seconds. 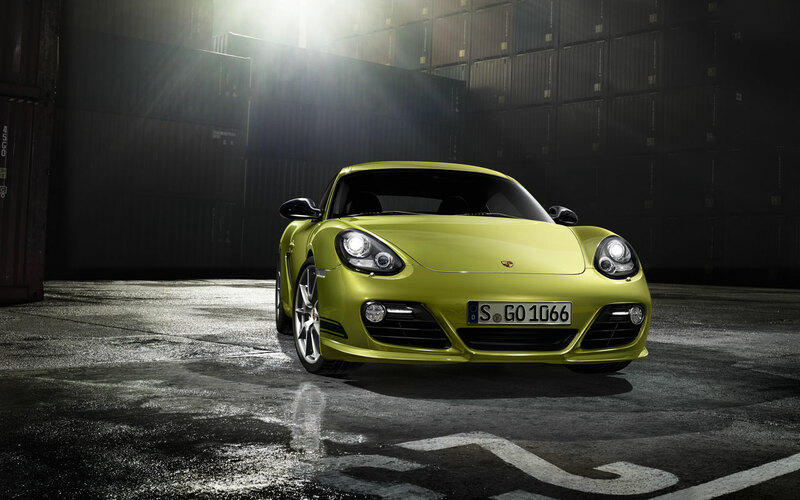 The new mid-engine coupé is capable of a top speed of 282 km/h (175 mph) with manual gearbox, or 280 km/h (174 mph) with PDK. Its NEDC fuel consumption is 9.7 l/100 km (29.12 mpg imp.) with six-speed gearbox and 9.3 l/100 km (30.37 mpg imp.) with PDK. 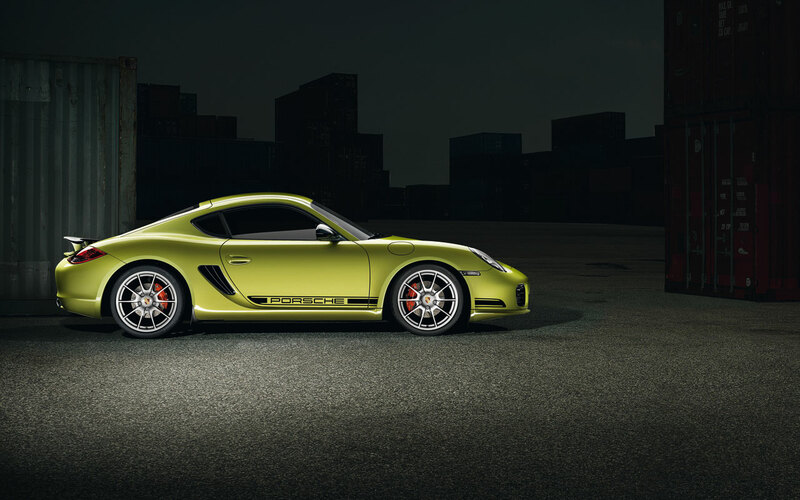 The main aim during the design of the Cayman R was to improve the two-seater even further in its performance, driving dynamics and agility through consistent weight reduction. 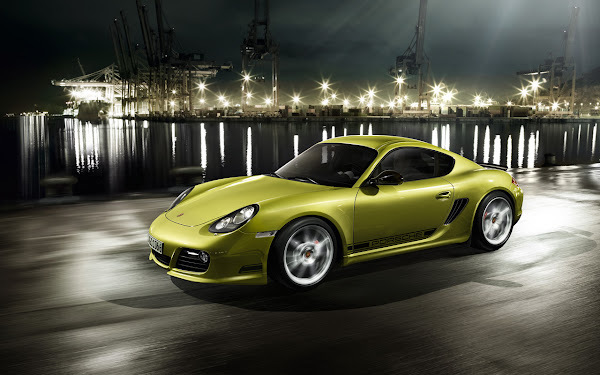 With a DIN unladen weight of just 1,295 kilograms (2855 lb) the Porsche engineers were able to reduce the power-to weight ratio of the coupé with standard manual gearbox to 3.9 kilograms (8.6 lb) per horsepower, with the PDK version weighing 4.0 kilograms (8.8 lb) per horsepower. The largest savings were achieved through the use of lightweight components and doing without convenience equipment. As for the 911 GT3/GT3 RS and Boxster Spyder, an optional lithium-ion lightweight construction battery is also available. 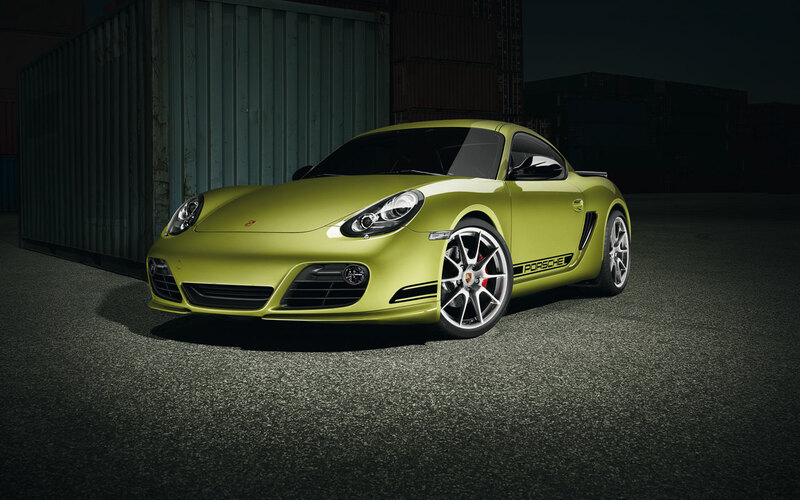 In addition, the top model in the mid-engine coupé is equipped with the lightest 19 inch wheels the entire Porsche range can offer. The complete rim set weighs less than 40 kilograms. 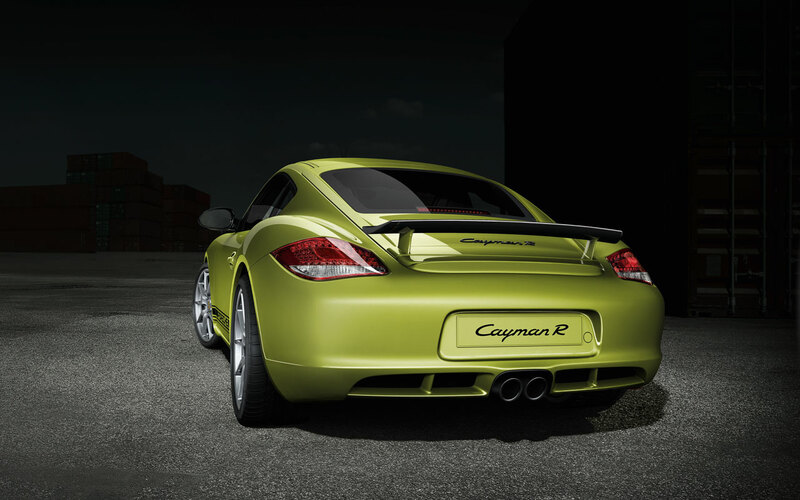 The new Porsche Cayman R will go on sale from February 2011. The price in Germany will be EUR 69,830 inclusive of 19 percent VAT and country-specific equipment items.